The results are in from the first round of Colombia’s presidential election, but nothing has been fully decided yet. 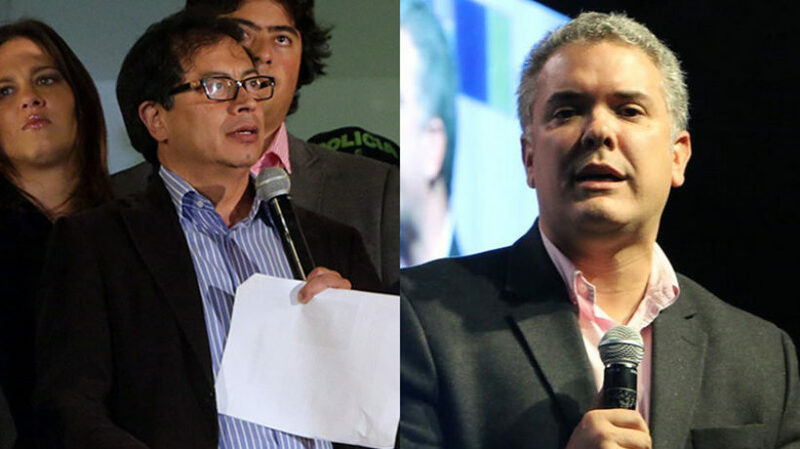 The two top vote-getters today — right-leaning Iván Duque and leftist Gustavo Petro — will now move on to compete in a head-to-head runoff on June 19 to decide who will be the country’s next president. With 7.57 million Colombian voters, or 39.1%, casting their ballots for Democratic Center candidate Duque today, he received by far the most support in an election marked by high turnout in a nation that has been increasingly divided in recent years. But because he did not exceed 50% of the total votes, as required by Colombian law to win outright, Duque will have to square off in a second round runoff election with former Bogotá mayor and ex-M19 guerrilla member Petro, who garnered 4.58 million votes, or 25.1%. The winner on June 17 will replace outgoing, two-term President Juan Manuel Santos and formally take office in August. The two choices have divergent views of the nation’s peace process and are viewed quite differently by the private sector, which sees Duque offering more fiscal stability and Petro as more of a wildcard. The third-place finisher today, Sergio Fajardo, narrowly missed out on advancing. He and Petro largely split the non-Iván Duque vote, with Fajardo falling short by only around 260,000 votes out of more than 19.6 million cast. Nevertheless, by receiving 23.7% of the nationwide votes, he significantly exceeded expectations based upon the final poll published before the election. In his concession speech, issued less than three hours after polls closed following swift ballot reporting from across the country, Fajardo remained positive and urged his supporters to extend the motivation they exhibited during his campaign to transforming Colombia. Fajardo fared particularly well in the capital, getting more votes than anyone else in Bogotá with 1.24 million, or 33.7% of the ballots. Petro, with 1.1 million votes (29.9%) in the capital where he is more well known than any other candidate, ranked second, while Duque came in third at 0.98 million (26.8%). Both Petro and Duque will be putting tremendous effort over the coming weeks into earning the support of those 1.24 million voters who supported Fajardo in the first round. While the large difference in votes in the first round makes Iván Duque a favorite to win the presidency, leftist candidates have rarely had good showings in Colombian presidential elections, making Petro’s performance a historic moment. 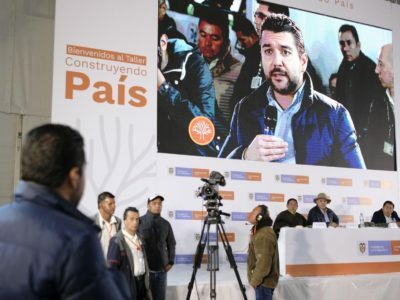 Petro’s camp is also likely encouraged by the fact that left and center-left candidates, including fifth-place finisher Humberto De la Calle, combined to receive more than 9.84 million votes. Duque and fourth-place finisher Germán Vargas Lleras, the two right-leaning candidates, by contrast only combined for 8.97 million. The map, however, appears to largely favor Iván Duque. Duque took a majority in Antioquia, the second largest population center in Colombia and home to Medellín. With 1.37 million votes in the department (53.1%), Duque dominated Petro, who could only manage just over 238,000 votes in the region. He received just over 77,000 votes in Medellín out of more than 900,000 cast. Fajardo, who served as governor of Antioquia and mayor of Medellín, received around 732,000 votes in Antioquia, good for 28.4%. Petro’s ability to improve in this location by winning over some of those who voted for Fajardo could prove critical to his chances of winning a runoff. But he is faces a large hurdle to finding more support. 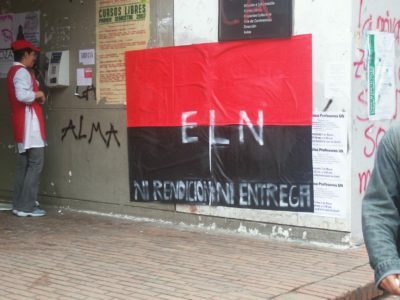 Antioquia was historically a hotbed of paramilitary activity in fighting guerrillas during the nation’s half-century of conflict, and the bulk of the population support former President Álvaro Uribe, who has been said to have handpicked Duque as the right’s top candidate. The vote was largely split among the top three candidates in Cali, the third largest city in Colombia. 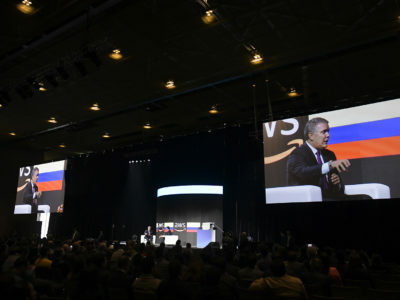 Among other large population centers, Petro won in the coastal cities of Cartagena and Bucaramanga, but Duque got much more support in Bucaramanga, Manizales, and Pereira. Overall, Duque won the vast majority of departments in Colombia. Petro was able to win just nine of 32 departments, faring particularly on both the Caribbean and Pacific coasts and along the rural border region with Ecuador. More than half, 53.5%, of eligible voters cast a ballot today. This was significantly above the past four presidential elections, all of which had less than rates of less than 50% in the first round.